Check listening comprehension in a flash! 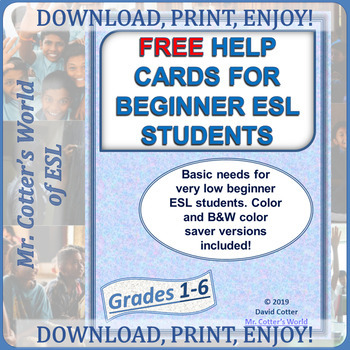 Shows whether your English language learners understand instructions or other listening-based tasks, and creates a can-do environment in the bargain! 15 years of fine tuning for ELL comprehension success distilled on this simple instruction card. I've been amazed year after year at the comradery, solidarity, mutual support and sense of pride in being ESL together that the students develop when this tool is properly implemented and used! I've used it from grades K-6 with positive results. It has subtle, but real, advantages over simple thumbs up/down and similar methods for quick comprehension checking.